Whether it's for Valentine's Day, that one special anniversary or simply just because, our Truest Love Bouquet delivers the perfect "I love you" to your sweetheart. 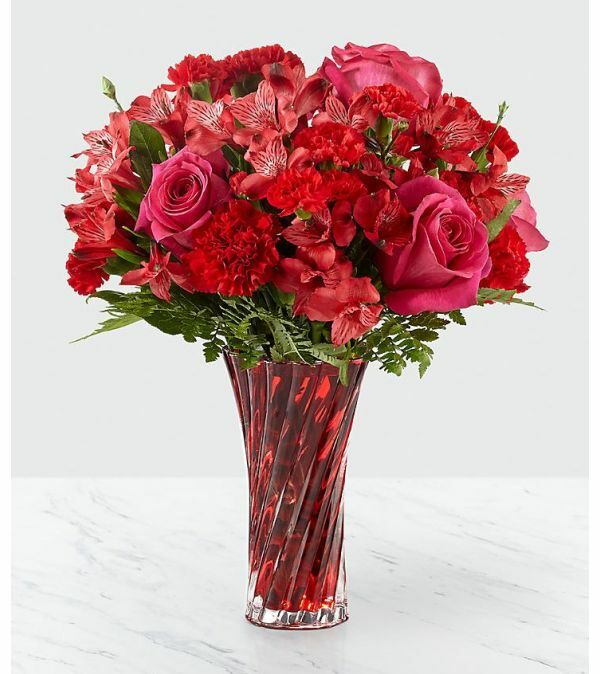 Hot pink roses, red standard carnations, red alstroemeria, and red mini carnations are set in a red glass vase (or similar) to create an arrangement that is dazzling. 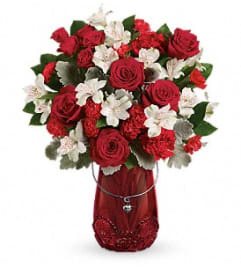 With our beautiful blooms accented by luscious leatherleaf, you simply cannot go wrong with this bouquet for your loved one.